KernowPrint Dry Toner has a full range of pre-designed applications ready for you to use. 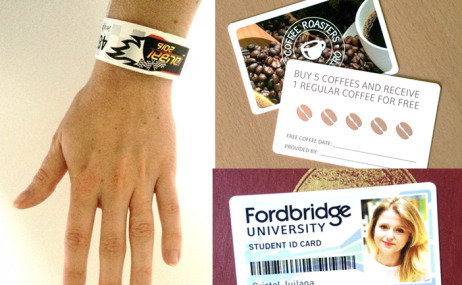 Choose from wristbands, menus, ID cards, door hangers and more! We can even custom design an application for you, please contact your sales representative for more information.